Toronto, ON – The Ontario Hockey League, in association with the Canadian Mental Health Association, and Teachers Life, are proud to celebrate five full seasons of the Talk Today program. Launched in October 2014, Talk Today provides mental health support to players and raises awareness about mental health and suicide throughout OHL communities. Since its inception, Talk Today has made a sizable impact in the OHL with 1,070 players, and over 500 coaches, billets, and staff receiving mental health and suicide prevention training to date. The partnership has expanded to include a mental health awareness seminar as part of the OHL/OHF Under-15 Program of Excellence since April, 2015, and is in the third season of a partnership with all 60 teams across the Canadian Hockey League. 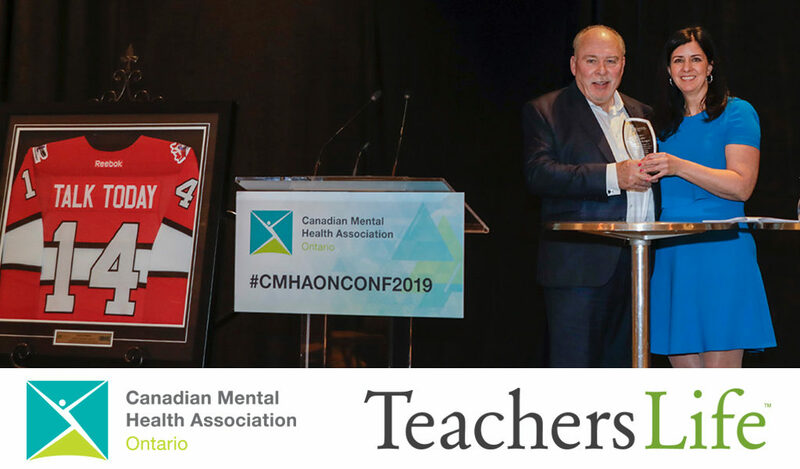 Another key initiative of the program has been community engagement in schools where OHL players, in conjunction with Teachers Life and their local CMHA Ontario Branches, have helped conduct in-class presentations communicating personal messages about mental health and stress management. Together they have reached close to 10,000 elementary students over the past three seasons including nearly 5,000 students in 2018-19 alone. Raising awareness about the importance of mental health was at the forefront during the month of February where OHL clubs demonstrated their commitment to the program by hosting Talk Today games in partnership with their local CMHA Ontario Branches and presenting sponsor Teachers Life. The program was supported in all 20 OHL communities with concourse displays at select games, public address and video announcements in venue, and through social media campaigns using #TalkToday. For more information please visit http://ontariohockeyleague.com/talktoday. Teachers Life is a not-for-profit federally regulated life-insurance company and North America’s largest educator-owned fraternal insurer. Founded in 1939, Teachers Life offers a full suite of personal insurance products to address the unique needs of the whole education community including educators, administrators, support staff and their families. As part of its commitment to the community, Teachers Life proudly supports a number of mental health initiatives, including TalkToday and Ready for Life, a unique mental health resource for educators. For more information, please visit www.readyforlife.ca or www.teacherslife.com.